The Heidi Group, an anti-abortion organization, is losing $4.1 million in state funding to offer reproductive health services for women after failing to serve as many patients as it thought it could. An anti-abortion group is losing $4.1 million in state funding to offer reproductive health services for women after failing to serve as many patients as they thought they could. The Heidi Group, a Round Rock-based center that has promoted alternatives to abortion to low-income women, will now only receive $996,930 to offer family planning services. The organization initially aimed to serve 17,895 women over one year but has dialed that number back to 3,498. 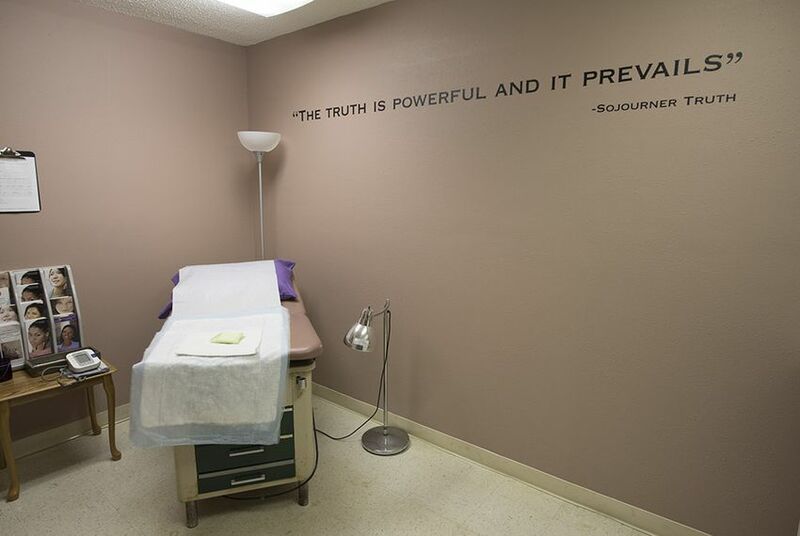 The group helps coordinate reproductive health services through 22 clinics scattered around Texas, including in Arlington, Laredo, McAllen, San Antonio and Tyler. Requests for comment from the Heidi Group were not returned Tuesday. Carrie Williams, a spokesperson for the Texas Health and Human Services Commission, said in an email that the agency is adjusting how much the Heidi Group is receiving “to make sure we're maximizing services for women.” She also noted that the Heidi Group's contract started in January — several months later than scheduled — which contributed to the group failing to reach its targets. “We are re-allocating those dollars directly to other providers and some will go back into the fee-for-service pool for women's health services,” Williams said. Under the Texas Family Planning Program, low-income men and women ages 64 and under are eligible for services including STD testing, cancer screenings, birth control counseling, infertility services, pregnancy tests, prenatal care and preventive health screenings for high blood pressure, diabetes and high cholesterol. The state contracts with 53 health care providers under the program. The funding cut was first reported by POLITICOPro. With the Heidi Group’s cut being redistributed, 11 providers in the Texas Family Planning Program are receiving a funding boost. That includes a $1.2 million bump for UTMB Regional Maternal and Child Health Program, a $361,496 increase for Brazos Valley Community Action Agency and a $305,814 boost for the North Texas Area Community Health Centers. Reproductive rights groups have criticized the state's decision to give the Heidi Group funding to provide services. Heather Busby, executive director of NARAL Pro-Choice Texas, said in a news release that the group's failed contract "demonstrates just how far Texas will go in putting politics over people" when it comes to reproductive health. "There was nothing in The Heidi Group's operations or history to indicate that this non-medical organization was even remotely qualified to provide reproductive health care," Busby said. Disclosure: The University of Texas Medical Branch at Galveston has been a financial supporter of The Texas Tribune. A complete list of Tribune donors and sponsors can be viewed here.